Police say a man used racial slurs against a black man and slashed tires on Sept. 10 in Portland. Portland police are investigating a "possible bias crime" involving a man who allegedly used racial slurs against a black man in Portland. 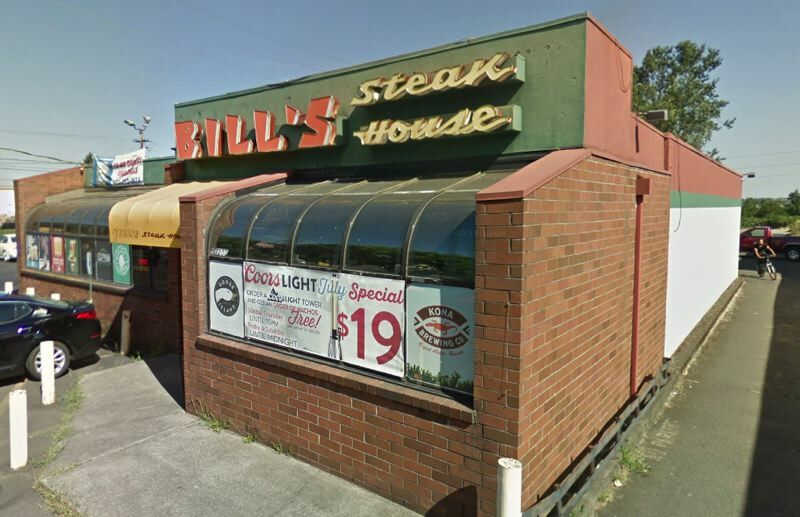 North Precinct officers responded to Bill's Steak House and Lounge, 10227 N.E. Sandy Boulevard, around 7:51 p.m. on Monday, Sept. 10, following reports that a man with "bad teeth" was trying to slash vehicle tires with a knife. Police and a K9 unit arrived at the scene, where they interviewed several witnesses and searched for the suspect. Police allege the man displayed a six-inch-long knife after he was denied access to the restaurant. He attempted to slash several tires and directed racial slurs at a black man while continuing to brandish the knife, according to a news release. Besides his decaying molars, police describe the suspect as a roughly 50-year-old white man with grey or greying hair and facial hair, standing five-feet-seven-inches tall and weighing about 160 pounds.